Don't miss the chance to win one of these amazing experiences in the Fur Ball Live Auction! 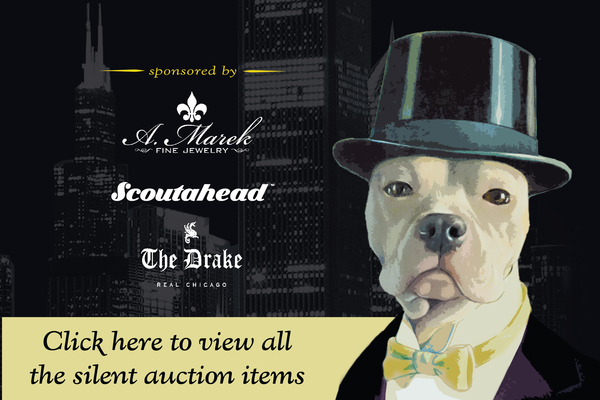 The Grand Ballroom Live Auction begins at 7:15 PM and the Gold Coast Live Auction begins at 8:15 PM. Anyone is welcome to bid on any item in either room! Please note: Each bid paddle number is assigned to a specific guest. All auction items expire one year from event date unless otherwise noted. Upon Auctioneer's indication of 'sold,' the highest bidder there upon assumes full risk and responsibility of the item. Four wine lovers, two couples, have the opportunity to experience Pritchard Hill, “the Rodeo Drive” of Napa Valley, with the pioneers who transformed this hillside fruit into world class wines. You’ll spend two-nights in two rooms at the 5 star world class resort, Meadowood. This luxury hideaway nestled among 250 acres in America’s premier wine growing region, offering gracious hospitality, championship croquet lawns, seven tennis courts, nine-hole walking golf course, hiking trails, swimming, full-service health spa, is sure to make your stay one to remember. As a private club, Meadowood counts Napa Valley’s most prominent vintners among its members, but you’ll get to experience more than just sharing a pool umbrella with a storied winemaker on this trip. You will enjoy a full day of exclusive wine tastings on Pritchard Hill, led by Montagna Napa Valley winery proprietor and one of the original founders of the Hill we know today, Bob Long. Spend the day visiting, tasting and touring some of the finest award-winning wineries in Napa, including David Arthur, Brand, Chappellet and Continuum winery, all which require appointments for the general public to visit. Not only will you get to savor some of the best Cabernets in the nation, and possibly the world, but you will get to meet some of the brilliant winemakers and vintners responsible for these beautiful wines. Between your tastings, enjoy lunch to soak up some of the tannins at Montagna Winery. No need to worry about limiting your samples though, because the four of you will be transported by a driver in a private car from winery to winery. After your day of tastings and tours, the four of you will head to Thomas Keller’s, awarded winning, Michelin star restaurant, Bouchon, to enjoy authentic French bistro fare, while enjoying a picturesque view of Yountville. Your tours may be complete, but this world class Napa Valley experience doesn’t end there. A varied case of the “best" of Montagna wines will be sent to each couple, which will include assorted wines from Bob Long's personal wine cellar. This is the perfect way to top off your glass, and an amazing world class Napa Valley wine tasting journey. Dates to be mutually agreed between winner and donor. Airfare not included. Meadowood lodging includes two nights for two couples, Sunday through Thursday during the months of November through July, based on availability. Celebrate your family’s love for your pet by having them grace the covers of the 2018 PAWS Chicago Desktop Calendar! For supporting this lifesaving project, you will receive a private pet-centric portrait sitting with David Sutton of David Sutton Studios. A photographer with a national reputation, David Sutton will capture the special relationship you and your family share with your pets, and the individual personality of your beloved pets. This bundle includes the portrait experience, the photos you’ll cherish forever, and the honor of being featured on the cover of the PAWS Chicago 2018 Desktop Calendar. 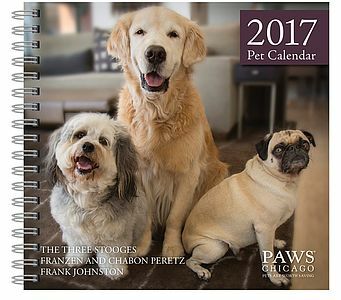 Your cover pet(s) will be seen by thousands when the calendars are featured for sale during the holiday season at the PAWS Chicago Adoption Centers, pet boutiques, veterinary clinics, and home coffee tables all around the Chicagoland area! You will receive ten copies of the calendar to share with friends and family, as well as a signed and matted exhibition print, along with a portfolio of six signed and matted 5x5 prints from David Sutton. This is your chance to feature your adorable pet on the cover of the PAWS Chicago Desktop Calendar, and help save homeless animals at the same time! PAWS Chicago has the hottest tickets in town for two of you to attend Broadway’s hit award-winning musical, Hamilton, in New York City. These tickets are famously expensive and difficult to come by, but we have arranged the whole experience for you. This record-setting musical is currently the biggest and most popular show on Broadway, winning the 2016 Tony Award for “Best Musical”, the 2016 Grammy Award for “Best Musical Theater Album” and the 2016 Pulitzer Prize for “Drama”. Rooted in hip-hop, but also encompassing the choral strains of modern-day Broadway, you will get to appreciate firsthand from your orchestra seats, the show’s contemporary reimagining of the story of America's Founding Father, Alexander Hamilton. This is a performance you do not want to miss! The excitement doesn’t end there as you will be staying for two-nights where it was once said “Nothing unimportant ever happens”, The Plaza Hotel New York. Located at Fifth Avenue and Central Park South, this landmark 20-story luxury hotel was constructed in the most fashionable residential section of New York City. This magnificent and iconic property is a testament to timeless elegance and your double-occupancy guest room will include a sitting area, sumptuous bedding with the finest fabrics, and an oversized bathroom with 24-carat gold plated fixtures. PAWS has also arranged for a reservation for you at Rue 57, where it is always bustling no matter which meal you are in the mood for. Bringing Asian flair and American gusto to traditional European dishes, Rue 57’s menu offers something for everyone. Whether going for Eggs Florentine and cafe au lait in the morning, stopping in for sushi at lunchtime, or relishing in a dinner of their signature herb-roasted chicken and finishing in bliss with luscious Creme Brulee, a transporting dining experience awaits you! 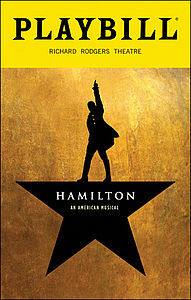 Includes two (2) Orchestra Seats to Hamilton on Broadway, a 2-Night, Double-Occupancy Stay at The Plaza Hotel New York, Reservation and dinner for two (2) at Rue 57 with a $200 credit. If you have a lucrative business idea, an entrepreneurial daydream, and/or the drive to be successful in your everyday life, PAWS Chicago is offering you the exclusive opportunity to have not one, but two, “sharks” at your disposal for a personal sit-down. Start your day by touring 1871, the hub for Chicago’s thriving technology and entrepreneurial ecosystem, where the city’s brightest digital designers, engineers and entrepreneurs are shaping new technologies, disrupting old business models, and resetting the boundaries of what’s possible. This isn’t just your average tour, as you will be guided behind-the-scenes one-on-one with award-winning entrepreneur, innovator and among many other positions, 1871 CEO, Howard Tullman. Living every day with the belief that “You Get What You Work for, Not What You Wish for,” Howard will offer you his advice and guidance from 50 years of startup experience and the creation of over a dozen high-tech companies. This is concrete and street-smart advice that you can apply to your own business to move it up to the next level. 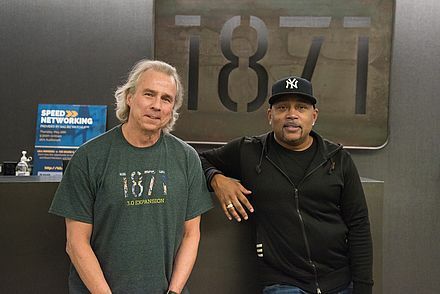 1871 welcomes you to come experience a place where you can share ideas, make mistakes, work hard, build your business, and with a little luck, change the world. Hopefully your brain isn’t over stimulated yet, because you have a lunch (or dinner) meeting scheduled with Howard and Daymond John, the most charismatic star of ABC’s reality television series Shark Tank. Daymond is the founder, president, and CEO of FUBU – a fashion brand he built from the ground up into a six billion dollar company. He has won over 35 awards - from Brandweek Marketer of the Year to Ernst & Young’s New Work Entrepreneur of the Year; is a best-selling author; and a highly sought after business and motivational speaker. And YOU get the exclusive chance to sit down with him over a private meal to learn how the strategies that continue to bring him financial success can do the same for you and your business. These strategies can work for you whether you are a student, entry-level employee, a small business owner or a corporate CEO. You will undoubtedly walk away with invaluable tools to incorporate into your own professional endeavors and make positive changes in every aspect of your life for immediate and long-term success. “The People's Shark” Daymond John, will reveal to you personally, how you too can live the American Dream. This day is the ultimate kick start to your next million. Private Bahamas Luxury Motor Yacht! Your group of six will board this incredible private 82' Luxury Motor Yacht for a getaway of a lifetime. 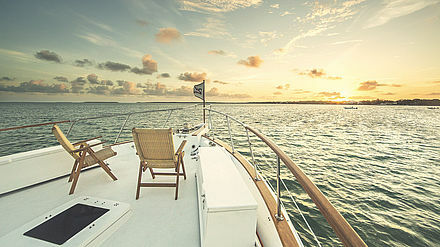 Explore the incredible islands in the Bahamas for 5 days and 4 nights, with captain, chef and crew. Whether it's snorkeling, exploring exotic coral reefs, or leaving your footprints on a private beach…these are unique experiences only this escape could deliver. With a breath and a heartbeat, leave your real world behind and indulge in the simple pleasures of sun drenched days, as you make that shift into what we call "island life". From the moment you step onboard, you'll be surrounded with the salty air of the sea, while you and your guests bask in the luxurious comfort of fully air-conditioned state rooms (1 King State Room, and 2 VIP Double State Rooms, that can be converted into 1 King Room if you desire), each with their own bathroom. Each day is tailored to your wishes. Enjoy around-the-clock service from your expert crew, focused on exceeding expectations and creating an elegant dining experience. Your private chef will cater to your every need in preparing gourmet meals and snacks, while infusing them with local flavors unique to your location. Relax and immerse yourself in unspoiled beauty while cruising through incredible islands and gliding over crystal clear waters. Explore the diverse marine life and aquatic adventures, as the yacht comes fully equipped with all the toys and gear needed for water activities, including: a 26' fishing boat, 15' tender to explore beaches, underwater scooter for snorkeling and scuba diving, Jet Ski for adventures, snorkeling equipment, 3 kayaks and 4 stand-up paddle boards. Your voyage includes transfers from the airport to the yacht and back; all costs associated with operating the yacht through the duration of the charter, all gourmet chef prepared meals, snacks, non-alcoholic beverages and unlimited use of all water toys. Includes exclusive use of the yacht for 5 days/4 nights for 6 guests, transfers to/from airport to yacht, captain, crew and costs associated with operating the yacht throughout the duration of the charter, all gourmet chef prepared meals & snacks, non-alcoholic beverages, unlimited use of all water toys, except Regulator fishing boat (crew operated). Airfare to Bahamas not included. Bookings are subject to availability at the time of booking. Fuel used for Regulator fishing boat, inflatable dinghy and jet ski is not included and will be calculated and payable upon departure. Alcoholic beverage tab will be kept during charter, payable on departure. Suggested gratuity of $750, payable upon departure. Charter runs Friday through Tuesday, available year-round except during Christmas and New Year. Whether it’s seeing the magnificent Great Barrier Reef or a trip through a tranquil rainforest, a trip to Port Douglas in Queensland, Australia will leave your group of six fulfilled, and wanting more! The aquamarine reef waters of the Coral Sea will revitalize you; the cool streams, towering mountains and the warm welcome of the local Kuku Yalanji people in Mossman Gorge will inspire you; and ancient tropical rainforests of Daintree National Park will invigorate you! Gather your closest family and friends for an incredible adventure down under, full of stunning natural beauty and a tropical feast for the senses! An hour’s drive north from Cairns via a spectacular coastal road is the town of Port Douglas, known for its famous palm-fringed Four Mile Beach, where old world charm makes it the perfect place for a laid back tropical getaway. 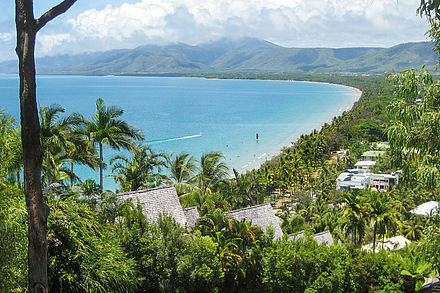 Port Douglas is also ideal for experiencing the northern tropics, with the Daintree National Park and the Great Barrier Reef all nearby. The ancient tropical rainforests of Daintree National Park, the magnificent Daintree River, and awesome coastal ranges overlook the calm clear waters of The Great Barrier Reef, the world's most extensive coral reef system. The Daintree Rainforest is believed to be one of the three oldest in the world with unique plants and animals found nowhere else, known as a paradise for bird-watchers and nature-lovers. Explore the Daintree and see ancient rainforests, stunning valleys, superb beaches, spectacular forest-clad mountains, clear streams, magnificent rivers and rolling farmlands. Your week-long Australian experience is loaded with amazing tours, memorable adventures, and incredible sights. A full-day private tour for all guests in the amazing Daintree Rainforest allows you to visit Cape Tribulation, cruise along Cooper Creek spotting wildlife, lunch in a secluded rainforest, and go on guided walks through the rainforest and Mossman Gorge. Also included is full-day Great Barrier Reef snorkeling experience, where you can visit Opal Reef, experience the beautiful coral formations and abundance of marine life. All equipment and transfers are provided, along with morning and afternoon tea and lunch! Relax in your three-bedroom villa, where each room has its own private ensuite bathroom. The villa boasts luxury that rivals that of a five-star resort, and features a private plunge pool, access to all resort amenities (including pools, sauna and spa, tennis courts and dining options), and your own private golf cart available for the duration of your stay! Access to the beach, lagoon pools and an 18-hole championship golf course are all yours. Your villa puts all the wonders of Australia's Great Barrier Reef and Daintree Rainforest on your doorstep. You may never want to leave! Includes 8 days/7 nights’ accommodations in a three-bedroom villa for up to six people, private golf cart and access to all resort facilities, complimentary internet access and satellite television, fully equipped kitchen, morning, lunch, and afternoon tea, private tour of Daintree Rainforest, Cooper Creek cruise, guided walk through rainforest and Mossman Gorge (including lunch), full-day Great Barrier Reef experience, boat trip to Opal Reef, guided snorkeling tour and reef talks (snorkeling equipment, lessons, and transfers included). Travel package is non-refundable and subject to availability. Passport required for travel outside the U.S. A minimum 30 day advance reservation is required. Two of you will head to New York City for a night filled with laughs, as PAWS Chicago has made arrangements for you to attend the hottest taping in the nation. Chicago native and Saturday Night Live featured cast member, Cecily Strong, has added two of you to the guest list to attend the March 4th filming of Saturday Night Live. 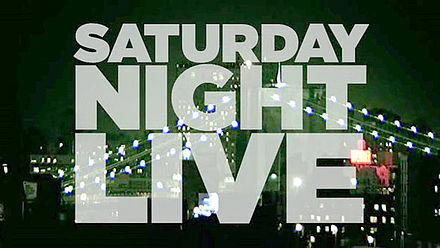 Since its premiere in 1975, Saturday Night Live has been one of the most popular comedy shows in the world, with the most Emmy nominations in television history, and continues to make audiences laugh with its satirical sketch comedy and hilarious take on contemporary culture. Attending a performance is one of the hardest and most sought after things to do in New York City and the country, for fans of comedy, TV, and pop culture. These tickets are extremely rare to come by, but you don’t have to worry because you are on the list. You will probably be exhausted from laughing till it hurts at the late night show, so feel free to retreat to the Andaz 5th Avenue boutique hotel just nearby. Enjoy a two-night weekend stay in a King loft style guestroom at this chic boutique hotel that represents quintessential New York City. With 12’ floor-to-ceiling windows with views of 5th Avenue and the New York Public Library, travertine marble bathrooms with porcelain foot baths, and some of the largest guestrooms in New York, you are sure to have a comfortable luxury stay. If timing allows, we have also arranged for you to wake up America on the set of the Emmy Award winning morning talk show, LIVE with Kelly. This whimsical and light-hearted program averages 5 million viewers per episode, is consistently the top-rated morning show and the #1 syndicated talk show in the country. And you get to watch the magic happen first hand from your VIP seats. All Saturday Night Live audience members must be at least sixteen (16) years of age; guest of LIVE with Kelly must be at least ten (10) years of age, and children under the age of eighteen (18) must be accompanied by an adult. LIVE with Kelly tickets must be redeemed by June 31, 2017. You and a very lucky companion will be immersed in exclusive luxury travel with privileged access to the planet’s most exotic destinations – all from the comfort of a private residence. This one-of-a-kind lifestyle can only be found on The World, the largest private residential Ship on the planet. 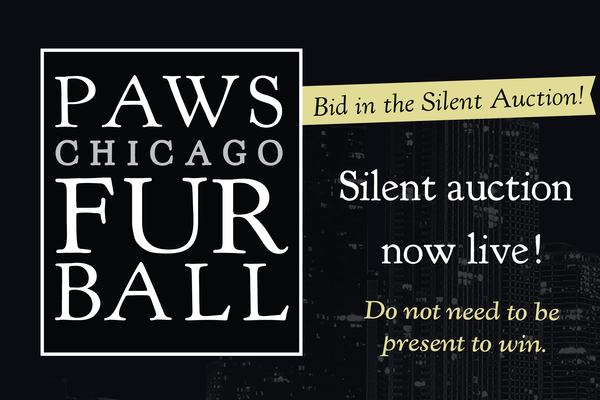 Access to The World is by invitation only or through the PAWS Chicago Fur Ball where the winning bidder will enjoy a seven night voyage not available to the general public. The Ship’s exciting 2017 Journey begins in picturesque Sydney harbor, exploring the heart-shaped island of Tasmania and its unique treasures before an extensive visit up the coast of New Zealand through famed vineyards and lush hillsides. In the spring, the Ship sails to East Asia and discovers the unique traditions of Japan, Shanghai’s glamorous past and the dazzling neon lights of Hong Kong. After a Pacific crossing, summertime begins amid the beautiful blue water and tropical islands of Hawaii before saying aloha and venturing up the California coast to western Canada. The World then reverses course and heads south to explore the Sea of Cortez and Central America before transiting the infamous Panama Canal. You get the privilege of selecting the destination and itinerary for one week during any of these voyages. On this floating city you’ll indulge in unrivaled personalized service offering the ultimate combination of luxury travel with world-class amenities. Enjoy impeccable culinary mastery in The World’s six restaurants including the haute cuisine of Portraits. Every meal is an adventure with local ingredients and inspirations found in every dish, and guest chefs and winemakers who add depth to the Ship's culinary journey. Be pampered at The World Spa & Wellness Center, play on the only full-size tennis court at sea, or dance the night away in Quantum nightclub. For a more relaxing evening, order champagne and truffles to enjoy before sleeping under the stars on your luxurious Bali bed up on Deck 12. Aboard The World, the possibilities are endless. Includes a seven-night voyage aboard The World in a luxurious one bedroom studio Residence for two guests. Your stay includes all meals and beverages including select wines, spirits, and champagnes from around the world; all gratuities and port charges. The winning bidder may redeem his/her certificate for any itineraries on the Ship's schedule until 11 November 2017 by which time the voyage must be completed. The following blackout dates apply: 20 November to 1 December 2016, 21 December 2016 to 2 January 2017, 11 January to 2 February 2017, 27 February to 18 March 2017, and 29 September to 4 October 2017. This offer is for Ship passage only. The winning bidder must arrange his/her own air transportation, any pre- and/or post voyage hotel accommodations, and transfers to and from the Ship. All seven (7) nights on board must be taken consecutively and within the span of the winner's selected voyage. We are unable to compensate for any unused portion of the voyage. Not included in this offer are optional shore excursions and onboard personal expenses. Please note that this prize is non-transferable, not redeemable for cash and cannot be sold to any other parties. 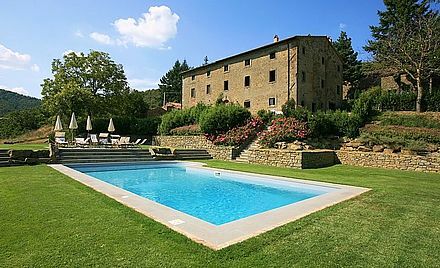 Your group of 12 will enjoy privacy, serenity and spectacular views in a recently renovated Italian 16th century home immersed in an oasis of natural beauty. This is the perfect experience for families and friends, a romantic getaway, and an ideal retreat. For one week, you will enjoy the surrounding countryside which offers stunning valley and mountain views, many walking trails, the exquisite pool, and hundreds of miles of country roads for bicycling or touring by car. Here you will get a taste of the traditions and customs, while enjoying breathtaking views over Cortona’s mountains and valley, in the utmost of privacy. Upon your arrival, your group will be greeted with a welcome drink, as you are ensconced in the warm atmosphere of your private villa. The owners will be there to meet you and share with you all the information that you’ll need as you start your trip of a lifetime. You will have full autonomy in deciding your schedule the way you prefer, with plenty of interesting explorations in your free time and the wonderful experiences we include in this unique week away. The Villa is spread across three levels, including a wine cellar, large living-rooms with an ancient stone fireplaces, a large dining-area, multiple kitchens, six bedrooms of which four have bathrooms en-suite plus additional bathrooms as well. Here you will live like Etruscan Royalty, as you will have a private cook for the entire week preparing your breakfast each morning and spectacular dinners with amazing dishes, every evening, and the food is included! Each time you sit at the table will become a memorable experience in itself! So let yourself be carried away into the culinary tradition by the smell of fresh made bread baked in the ancient wood stove, the homemade pasta, delicious meat sauces, the roasted meats, fresh vegetables and locally produced cheese. Here you will taste the real flavors of Tuscany’s traditional food. On one of your days, we have even arranged for a cooking class, with your chef, in the charming kitchen. This class is not only about executing recipes, but you will discover the authentic traditional Tuscan cooking the way that it was in the past, when families were self-sufficient thanks to their own farms. You will learn about how to choose natural and wholesome ingredients directly from the villa’s own farm, such as gathering fresh eggs, picking vegetables, mushrooms in the woods and other local crops (all depending on the season). This experience is complete with a private wine tour experience, not typically available to tourists, in the charming countryside of Cortona. Here you will be immersed in paradise and you will learn the secrets of the winery that is famous for producing the precious Nobile di Montepulciano. And as a very special treat, you will not only enjoy a special tasting, but you will also be welcomed by the owner of the vineyard and be his guest for a delicious lunch in his amazing, private villa. Includes: Seven days & Seven nights stay for twelve people from Saturday to Saturday, Arrival day welcome drink and orientation, Cook every day for breakfast and dinner (food is included and different menus can be chosen in advance by guests), Maid service every day, Mid-week change of linens and towels, Private wine tour experience in exclusive winery and lunch in the owner’s villa, one-day traditional Tuscan cooking class (from learning how to choose natural ingredients to preparing “hands on”, delightful dishes), Heating and electricity, phone, Internet and final cleaning, A staff member will always be at your disposal before and during your holiday for trip details preparation and arranging free time extra activities and services. Booking is based on availability and the week must be reserved within one month of the auction. The offer is good for one year from time of purchase. There is no refund for unattended or guest-canceled services. Airfare not included. You and your special someone have the chance to invite eight of your closest friends to be treated like Chicago celebrities with this night of luxury and exclusive treatment at Park Hyatt Chicago and NoMi Kitchen. When you arrive at Park Hyatt Chicago, located just steps from the energy of the Magnificent Mile and Chicago’s Gold Coast neighborhood, you will be escorted to your premier suite with a spectacular view of Lake Michigan. The evening will kick off with a champagne reception and toast for your whole group of ten in your suite. You might event get a special guest appearance by Park Hyatt resident dog and PAWS Chicago alumni, Parker the pug. Once done sipping on your bubbly, you will all head to the seventh floor of the hotel to experience Chicago’s skyline from the views at one of the “Best Hotel Restaurants Around the World,” NoMI Kitchen. The VIP treatment continues, as you are served a customized dinner menu created especially for your group, by the 2016 James Beard Award nominee for “Rising Star Chef of the Year,” Chef Ed Sura. 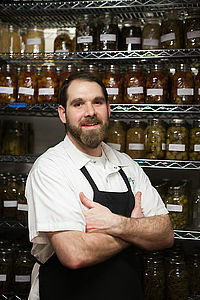 Chef Sura is known for incorporating his love for creating modern interpretations of classic dishes infused with rich flavors, inspired by the seasons, using the best products from farmers, cheese makers, ranchers, bakers and artisans from the surrounding region. To enhance your dining experience even further, your dinner will include wine pairings from the extensive collection at NoMi Kitchen, hand selected by the restaurant’s sommelier. When you’re stomachs and hearts are full from this incredible evening with friends, retreat back to your suite for a luxurious and restful night of sleep. Subject to availability. Inclusive of occupancy tax. Attention music fans, this is your chance for your group of four to be “Chillin’ It” with the 2015 Academy of Country Music “New Artist of the Year” award winner, Cole Swindell. On Wednesday, November 30, the four of you will head to dinner at Bub City Rosemont – a sprawling, energetic, BBQ restaurant with a country music theme, where you will get to experience a little slice of the south in the heart of the Midwest. 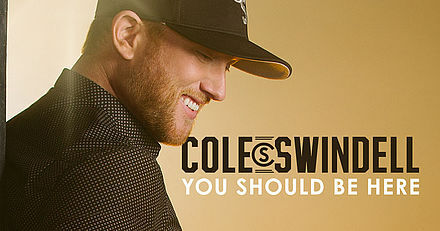 The fun is just beginning, because when you are done with dinner, head next door to Joe’s Live, one of the newest live music venues in the area, where you will have VIP access to Cole Swindell’s “Down Home Tour” concert. Not only will you get to get revel in the sounds of Cole Swindell on stage as he performs his hit songs like “Middle of a Memory” and “You Should Be Here,” but your group will actually get to personally meet Cole Swindell. Get up close and personal and find out how this country music star has risen to the top of the charts and continues to write hit songs for fans like you. Includes $300 Bub City Gift Cards.